Through October of this year, millennial auto loan originations through the CUDL platform averaged $664.1 million per month, up 4.6 percent from the same period last year, when the average was $634.8 million. 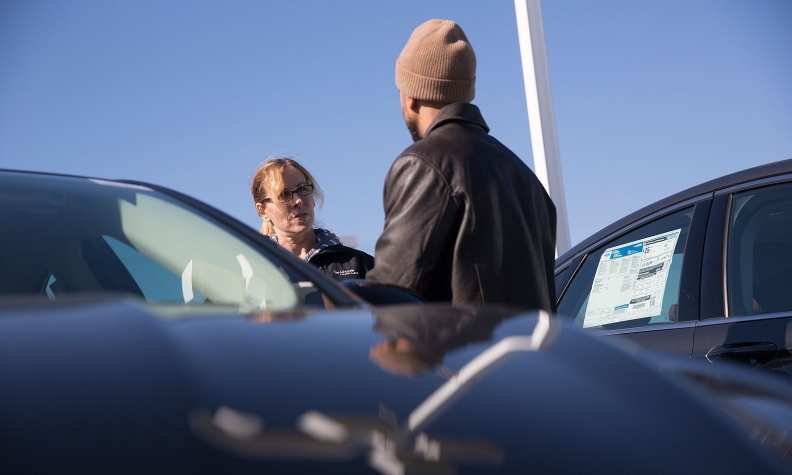 Despite concerns over millennials’ lack of interest in vehicle ownership, they are buying and financing vehicles, says CU Direct, which links credit unions and auto dealerships through its CUDL lending platform. Millennials, those aged 18 to 35, make up 36.2 percent of car buyers financed through the CUDL platform. The older half of the group -- aged 26 to 35 -- continue to make up the largest share of car buyers financed through CUDL, at 22.8 percent though September this year. The younger part of the millennial demographic, those aged 18 to 25, made up 13.4 percent of borrowers financed through the platform, accounting for 129,300 auto loan originations for the nine-month period. The 26 to 35 age group is the largest in the CUDL lending mix, with 219,466 loan originations through September. Of those, 68,007 were new-vehicle loans and 151,459 were used-car loans. “We are seeing that people in that age group are starting to enter some of their prime borrowing years,” said Marci Francisco, vice president at CU Direct. Industrywide, credit unions’ total auto loan balances outstanding were $234 billion at the end September, representing 24.2 percent of all open auto loans, according to Experian. The CUDL platform, consisting of 1,100 credit unions and 12,000 dealerships, accounts for more than $160 billion in outstanding auto loans. In 2014 the network originated $22.5 billion in auto loans. CU Direct’s online shopping and financing tools engage younger buyers, Francisco said. Consumers can apply for a loan online, and when they go to the dealership they’re already preapproved. “It’s a fast, easy and streamlined shopping and buying experience,” she said. Five years ago, the industry was concerned that millennials would be too invested in car sharing to buy a vehicle, Francisco said. “What we have seen is that they do want to purchase cars and do value car ownership,” she said. “Just as they have delayed buying a home or starting a family,” millennials have delayed buying vehicles as many are burdened with student debt or are recovering from a period of unemployment. They are borrowing now, but they want to “do it in a financially responsible way,” she said. Millennials’ $22,588 average loan amount, however, is slightly lower than the $24,080 average for all consumers financed through the CUDL platform. They tend to buy smaller, nonluxury vehicles that have lower price points and lower monthly payments. That’s because young consumers saw the effects of the 2008-09 downturn on themselves and on their friends and families, Francisco said. “If you think about the millennial buyer, these are folks that came of age or just started out in job market when the Great Recession happened,” she said. Millennials borrowing power has been consistently strong over the last few years. In 2013, millennials made up 38.6 percent of borrowers financed through CUDL. The following year, their share slipped it 37.3 percent. But that wasn’t a sign of a long-term borrowing decline. “2013 was a significant year in terms of growth through our platform,” Francisco said. Part of the drive in 2013 may have been pent-up demand, she added. It “might have been when people felt comfortable” borrowing again. By the end of 2015, Francisco predicts their share will rise again. Millennials and their Gen X predecessors, will account for four out of five auto loans by 2020, she added. As they get older and expand their families in some cases, their buying power increases.